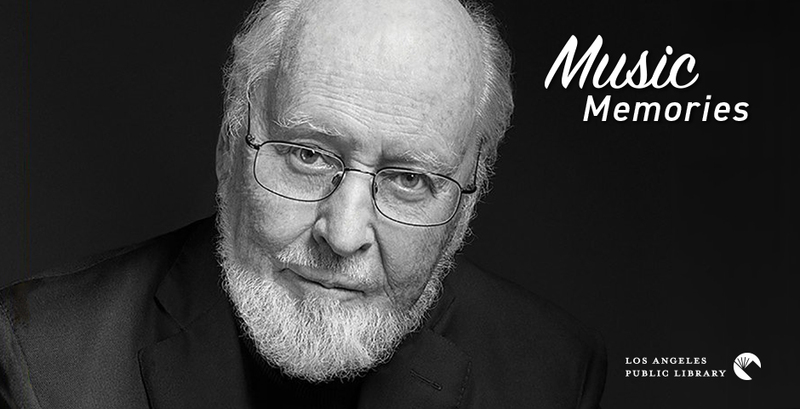 John Williams was born on February 8, 1932. Williams is a composer whose movie themes are instantly recognizable. In his sixty-year career, Williams has received 3 Emmys, 24 Grammys, and 5 Academy Awards. He's been nominated for the Academy Award 51 times, second only to Walt Disney. Williams was born in New York. His family moved to Los Angeles in 1948, and Williams graduated from North Hollywood High in 1950. He was drafted into the United States Air Force in 1952, where he served as a pianist, brass player, and arranger for the Air Force Band. After his military service, Williams worked as an orchestrator for film studios, and as a session pianist for a variety of record companies. He worked frequently with Henry Mancini, and it is Williams you hear playing the persistent piano riff of Mancini's "Peter Gunn" theme. During the early part of his career, Williams was often credited as "Johnny Williams," to avoid confusion with the English character actor John Williams. His early Hollywood work as a composer included several TV themes, among them Time Tunnel, Lost in Space, and Bachelor Father. Williams' first film score was for the 1958 B-movie Daddy-O, available or streaming in the Mystery Science Theater 3000 edition. With The Sugarland Express in 1974, Williams began one of the most important relationships of his career, working for the first time with director Steven Spielberg. They have worked together for more than 40 years; in fact, Spielberg has made only three theatrical films scored by other composers. Three of Williams' Academy Awards have been for Spielberg movies—Jaws, E.T. the Extraterrestrial, and Schindler's List. The Ultimate Collection gathers some of the most memorable themes from the Spielberg/Williams collaboration. Spielberg recommended Williams to his friend George Lucas, who was in need of a composer for Star Wars; that established another long-running relationship for Williams, who has composed the scores for all eight of the films in the main Star Wars sequence. Five of those scores have been Oscar-nominated, and the score for the first Star Wars won the Oscar. In the 1980s and 1990s, Williams wrote music for NBC News and NBC Sports that is still heard today. The NBC Nightly News uses part of Williams' "The Mission" as its theme. Williams' "Olympic Fanfare and Theme," written for the 1984 Los Angeles Summer Games, continues to be the principal theme music for NBC's Olympics coverage. (It is usually heard in a medley with Leo Arnaud's "Bugler's Dream," which has been used as a TV Olympics theme since the 1960s.) Williams wrote additional music for the Olympics in 1988, 1996, and 2002; his Olympics music can be heard on the albums Summon the Heroes and American Journey. In addition to his film and television work, Williams has also composed music for the concert hall, including more than a dozen concertos. Those concertos have featured not only the instruments that are most often given a solo moment—violin, cello, trumpet—but also instruments that are less frequently highlighted as soloists—bassoon ("The Five Sacred Trees"), harp ("On Willows and Birches"), tuba. In 2005, the American Film Institute named Star Wars the greatest film score of all time. Jaws was at #6 on the AFI's list of 25, and E.T. the Extraterrestrial at #14; Williams was the only composer with three scores on the list. In 2016, Williams became the first composer to receive the AFI Life Achievement Award. Williams announced last year that the ninth episode in the main Star Wars sequence, scheduled for December 2019, would be his last work in that franchise. That's not to suggest that Williams is slowing down or planning to retire; a fifth film in the Indiana Jones series is due in 2021, and it will be Williams' 29th collaboration with Spielberg.